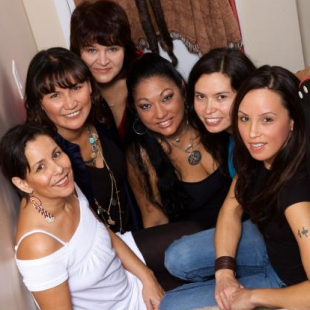 M’Girl [pronounced ma-girl] is an Aboriginal Women’s Ensemble was founded by Renae Morriseau in 2004 and features a cadre of talented women from a variety of First Nations (Saulteaux, Anishnabe, Tahltan, Dene, Salish) all residing in the Greater Vancouver Area. 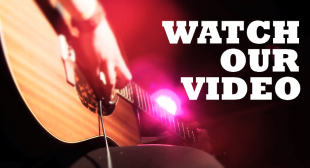 The Songweavers Studio program, hosted by the Knowledgeable Aboriginal Youth Association’s (KAYA) in Vancouver, is a free youth recording studio with the goal to empower the voice of Aboriginal youth. 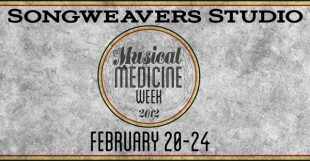 This month, Songweavers is presenting Musical Medicine Week – five days of workshops, community and music. 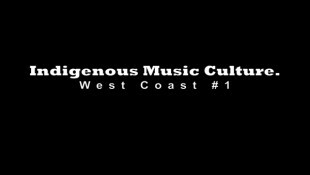 Aboriginal Arts at the Banff Centre launches their Diverse As This Land Volume II compilation CD featuring Pura Fe, George Leach, M’Girl and Altai Khangai.